Luxury bed and breakfast in Fife overlooking Firth of Forth. Welcome to your home away from home. This stunning suite can be tailored to your needs as a Super King suite or a Twin suite. With a large living space you can enjoy the extensive views through the floor to ceiling windows from the comfort of your room. This magnificent suite can be tailored to your needs as a Super King suite or a Twin suite. With a large living space you can relax and enjoy the breath-taking views through the floor to ceiling windows. The perfectly positioned porthole window gives guests an unrivalled view of the Forth Rail Bridge. 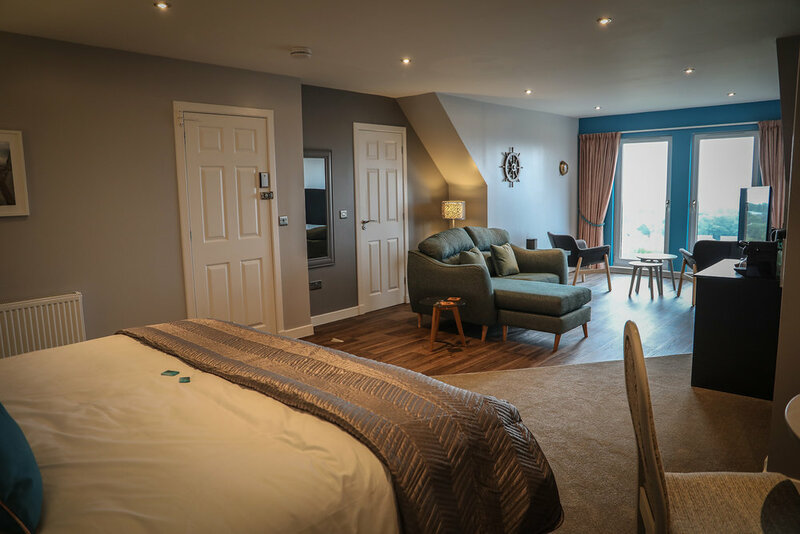 The Garden Room is a king sized en-suite room with a peaceful view of the garden and the woodland. If you are lucky you may even spot some deer in the garden among an extensive range of wild birds.